Join us on Canada Day for a special trip to Dirty Laundry Winery where we will be served a fresh, sustainably caught lobster lunch. You may even catch a glimpse of the Kettle Valley Steam train from the scenic patio. Also included on this excursion is a stop at Gallery97 and the newly refurbished Peachland’s Visitor Centre which is home to BC’s largest colony of maternal Yuma bats. You’re in for an adventure as our supercars wind in and out of the Okanagan’s back roads between August Luxury Motorcars and Summerland! $499 per driver. Includes Lobster lunch! 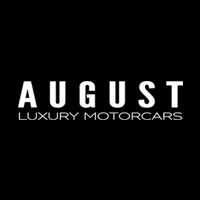 This tour is offered by August Exotic Car Tours & Rentals.